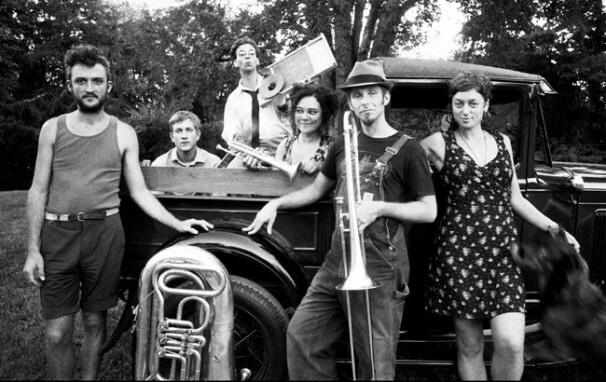 Formed in the streets of New Orleans in 2009, Tuba Skinny has steadily evolved from a loose collection of street musicians into a solid ensemble dedicated to bringing the traditional New Orleans sound to audiences around the world. Drawing on a wide range of musical influences — from spirituals to Depression-era blues, from ragtime to traditional jazz — their sound evokes the rich musical heritage of their New Orleans home. Performing old blues and Dixieland jazz from the 1920s and 30s, brassy swing and joyful swagger are theirs. The raspy, belted vocals of Erika Lewis have been compared to those of Mae West — so if you remember her distinctive voice, you had better come along. The band has gained a loyal following through their distinctive sound, their commitment to reviving long-lost songs, and their barnstorming live performances.